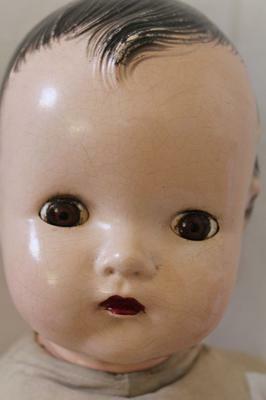 Early Madame Alexander Compo Doll Identity..? I appreciate any help from you experts. I have been trying to identify this Madame Alexander doll that I picked up from a local thrift store for $25. The closest I can come to identifying this doll is that it is a Pinkie/Pinky doll..? 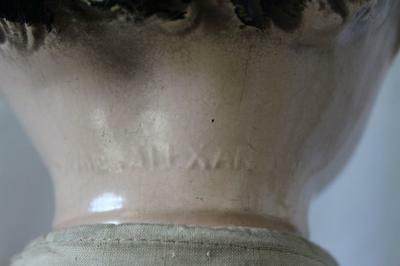 ..But the online info shows the Pinky doll mostly being marked as 'Alex' or 'Alexander'. Mine has the full name spelled out on the back of the neck quite easy to read 'Madame Alexander'. Plus, my doll does not have eyebrows and the online Pinkys do have eyebrows. 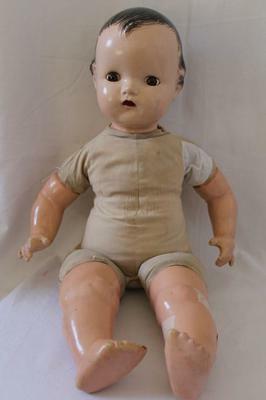 This doll is not in perfect condition with scuffs, a few chips, crazing, and a crack and patch or two. ..Still.. they aren't making them anymore and I just couldn't resist. Wish I were an expert! 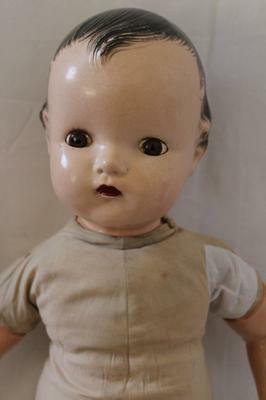 Thanks for any help in identifying this wonderful old doll.